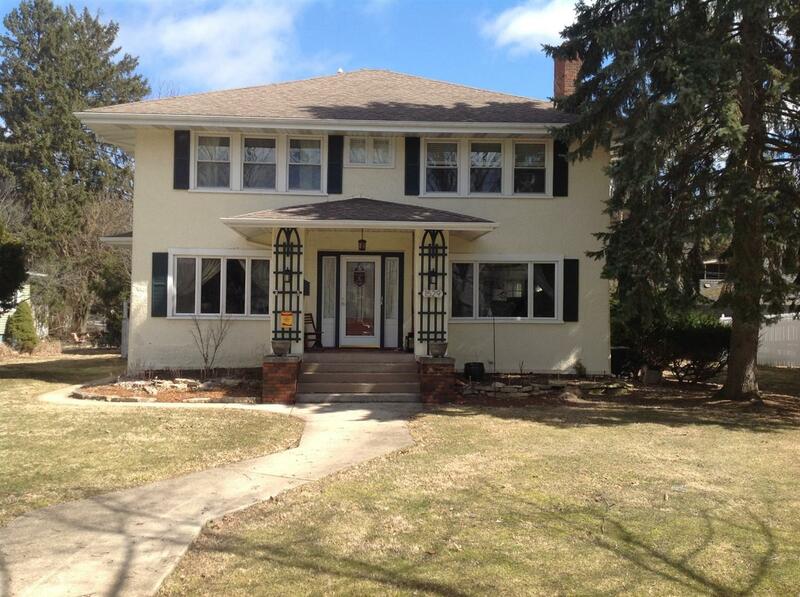 Exquisitely elegant 4 bedroom, 2 1/2 bath home with stunning original pine floors and generous sq. footage is move-in ready and waiting for you to call home! Wood trim, hand rails, doors and ceiling beams have been brought back to its original grandeur. Beauty and function meet in the white kitchen complimented by knotty pine and stainless steel appliances. New range top and oven are being installed soon! Enjoy the relaxing ambiance of the fireplace in the living room or appreciate nature in the four season room while entertaining family and friends after hosting dinner in the formal dining room, complete with pocket doors. Numerous updates and installs throughout, including; electrical, heating and AC, condensation pump, insulation, double pane windows, interior paint, and NOVA system. Main bath has been completely remodeled and features a double sink and a jetted whirlpool tub. Half-bath has been updated as well. Finished basement with rec. room, laundry and office/5th bedroom. Directions: East on Lincolnway, turn south on Michigan Ave to home on the left.